Glencore Energy UK Ltd, a global commodities company, has downplayed accusations by the National Petroleum Authority (NPA) that it has been operating without a license in Ghana’s petroleum downstream industry. According to the company, it only acts as an international supplier of petroleum products and is, therefore, not breaking any law of Ghana, Andre Gibson, Director of Glencore Energy UK said. 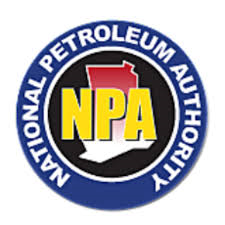 The NPA had accused Glencore of importing petroleum products for storage and sale to various customers within Ghana, in violation of section 11 of the National Petroleum Authority Act, ACT 691 of 2005. Consequently, the NPA, in a June 23, 2017 letter, ordered Glenore to stop the illegal act or face legal action. Responding to the NPA accusation, Glencore, in a letter dated July 7, 2017, said all its businesses in Ghana are within the remits of the law, adding that the NPA may have been working with “inaccurate information” with regard to its involvement in Ghana’s petroleum industry. “Our role is strictly limited to being an international supplier of petroleum products. As you recognise on your own website, ‘the industry works closely with international suppliers like… Glencore… to supply about 80 percent of petroleum products currently consumed in the country’. “We do not (and have not at any time) undertaken or engaged in any ‘business or commercial activity in the downstream industry’ in Ghana for the purpose of Section 11(1) of the Ghanaian National Petroleum Act (“NPA”).